Single-dose mask, already activated and specifically formulated for the eye and lip contour area. 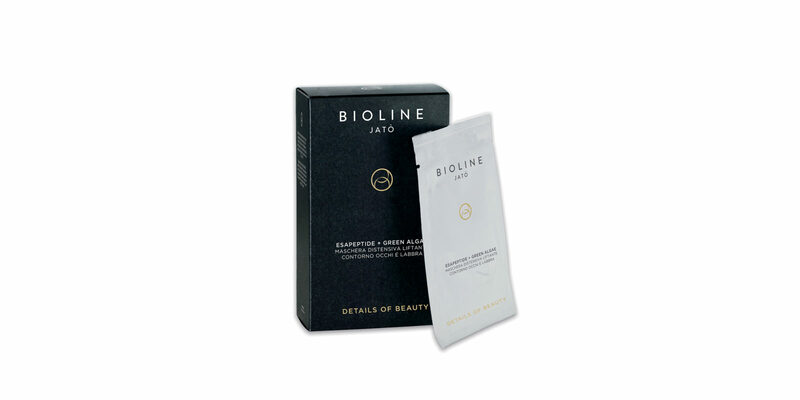 It contains hexapeptide, with a relaxing action, and natural substances such as allantoin and enteromorpha compressa, with softening and emollient properties. It optimizes the skin’s moisture level and reduces the appearance of puffiness, dark circles and small expression lines. Apply to the orbicular muscle of eyes and lips, and leave on for 15-20 minutes, remove the mask by lifting it, then dab the area with a dry towel. An innovative formula with a high revitalizing, energizing and hydrating power to reactivate the vital processes of the skin and enhance the most precious details of the face: the eye and lip contour. Precise manoeuvers soften expression lines of the eye and lip contour, while restoring brightness to the eye area and adding volume to the lips. An elixir of precious active ingredients, such as caviar, retinol and plant stem cells reduces the appearance of puffiness, eye bags and dark circles.